Among the cases to be heard before the Supreme Court his year is Edward Poitevant’s appeal to get out from the shackles of the Endangered Species Act. The Dusky Gopher Frog is about three inches long, has a stocky body, and features colors ranging from black to brown to gray. It also has dark spots and is covered in warts. That act, enacted in 1973, was built on broad support for protecting bald eagles, buffalo, and ivory billed woodpeckers, if any. But over the years the enviro movement has eagerly seized on the act to impose impossible restrictions on private land that conceivably could be habitat for all sorts of tiny species, even if those species do not actually inhabit the land to be protected. 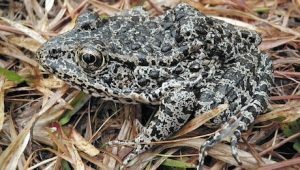 In 2011 the Obama Fish & Wildlife Service designated Poitevant’s 1,500 acres in Louisiana as a critical habitat for the dusky gopher frog – even though no dusky gopher frog had been seen there for the past 50 years and the land is currently uninhabitable by the frogs, if there were any. To make the land into suitable habitat, the owner would have to rip out every tree, replant the 1,500 acres with the right trees, make sure ponds are still there, and burn it over every year. If Poitevant doesn’t want to do that — and why would he? — his land will be made off limits to development forever. One legislative remedy would require that land can’t be designated endangered species habitat unless there is actually an endangered species living on it. But alas, even that draws furious opposition from the national enviro organizations. Shouldn’t we have a “Laugh Our Loud Test” for this criminal and idiotic abuse of basic Property Rights? This leaves Constitutional Property Rights citizens in a fuming, crying RAGE. But over the 60 years after the “Green Mtn Boys”, Several NE kingdom Property Rights groups, Citizens for Property Rights, and Property Owners Standing Together,………………The Beaurocracy and the Plutocracy still reign Supreme. Sheesh! Big Government run amock. “Hey, Ed how many more years do you have till retirement and that pension kicks in?” Looking busy to protect that phony baloney job( and pension), Ed writes some garbage proposal and spends the next several years defending, polishing and selling it to the bosses.